Sometimes it is hard to put together a delicious and healthy meal, but if you’re looking for a healthy meal that doesn’t skimp on flavor, then you’ve come to the right place! We can’t get enough of this chicken and quinoa soup – it has that winning combination of delicious and nutritious, and the silky smooth broth makes us feel like we’re indulging in richer fare while still staying on track. If you haven’t tried quinoa before, think of it as rice’s healthier, more mature cousin – it’s packed with protein and fiber, and has a slightly nutty flavor, making it one of our all-time favorite health foods. 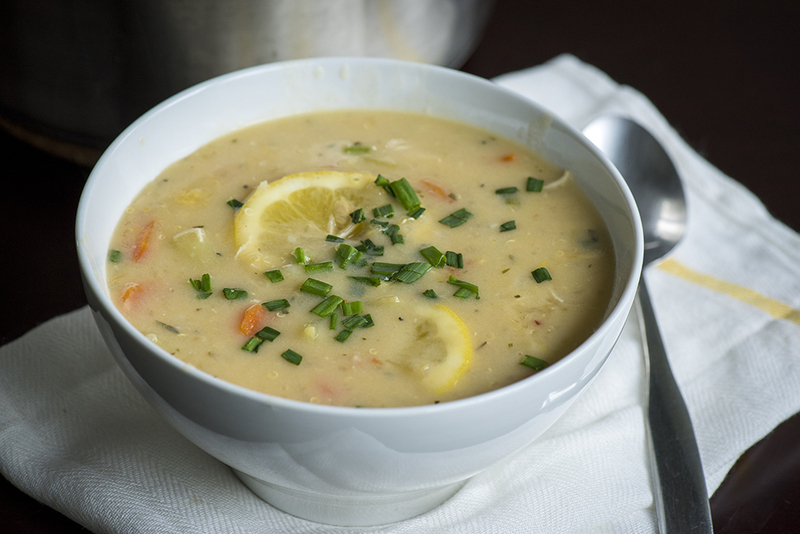 Quinoa also cooks up quicker than rice, making this soup a perfect weeknight dinner option. This bright and sunny dish is just what we need to warm us up after a long day, and we think you’ll agree! Heat olive oil in a large stock pot over medium-high heat and sauté carrot, celery and onion for 8-10 minutes, or until softened. Add garlic and red pepper flakes and cook for 1 minute, or until fragrant, then pour in chicken stock. Add bay leaves and tarragon, and season generously with salt and pepper. In a separate bowl, whisk together cornstarch and milk until you’ve formed a smooth slurry. Pour slurry into soup and stir until incorporated completely. Bring mixture to a boil and pour in quinoa. Reduce heat to medium-low and cook for 20 minutes, or until quinoa is tender. Stir in chicken, lemon juice and zest, and chives, then cook for another 5-10 minutes. Ladle into serving bowls and serve hot, topped with fresh lemon slices.